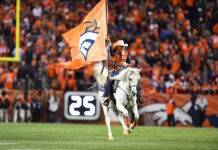 What does it take to lose your job in Denver, huh? Three weeks ago, Jordan Norwood fumbled the ball twice as a punt returner against the Kansas City Chiefs, losing one of them. 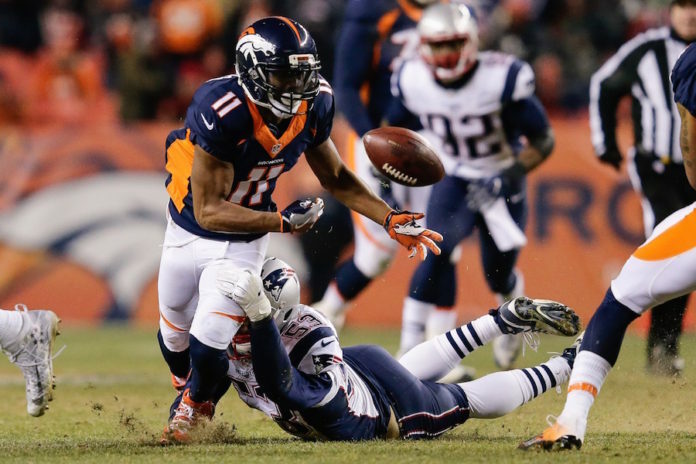 He was promptly shoved off the field by Aqib Talib and lost his job to rookie Kalif Raymond. In two games, Raymond did a solid job returning punts for the Broncos; at times, he even looked like a legitimate threat, averaging 10 yards a return, something we haven’t seen from Denver’s special teams in a long time. And most importantly, he didn’t fumble the football. For whatever reason, though, Gary Kubiak made the decision on Sunday to deactivate Raymond and give the job back to Norwood. On his first opportunity of the game, Norwood did what Norwood tends to do: fumble the football. The Patriots would recover and convert the turnover into three points. WHY IS JORDAN NORWOOD BACK THERE????!1!!!?!?!?!?!?!?!?!?!?!?!?!?!?!?!?! WHAT has Norwood done to earn that job? Please, tell me one thing …. Inexcusable he's playing. Friggin' joke. #Norwood can be cut at this point. Aqib Talib stared down Jordan Norwood as he walked on the field. Norwood got benched after 2 muffs. Now muffs one after great DEN 3&out. #Broncos Norwood wasn't pushed from behind when he muffed that punt, but he might be when he gets to the sidelines. What’s worse, though, is that Kubiak still allowed Norwood to go back to return the next punt. And after receiving it without issue, the crowd gave a sarcastic cheer. Crowd just cheered when Jordan Norwood caught fair catch. That's cold. Norwood put the excitement back into the Fair Catch. . .
Love the sarcastic cheer. Let Norwood hear it. Unbelievable he's allowed back there again. 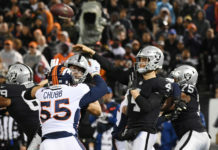 Norwood would remain in the game, returning two punts for a total of 5 yards, but he allowed several more to bounce deep into Denver territory, refusing to catch the ball. Really. . . He can't field a fly ball. . . Get him (Norwood) the hell out of everyones way. 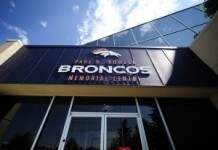 . .
And even then, Norwood wasn’t done capsizing the Broncos’ chances at victory. While the game was all but sealed, with under a minute to play Norwood put the nail in the coffin by fumbling the ball away once again (as a receiver this time). I don't know why but I seriously started laughing when Norwood fumbled… what an awful freaking game by Denver. Jordan Norwood had two solo tackles, were they on his two fumbles? Kubiak said after the game that he wanted Norwood on the active roster for what he brought to the team offensively, but it’s clear Broncos Country could care less. Amongst others, Norwood would not be missed if he was jettisoned from the roster tomorrow. Jordan Norwood and Rick Dennison should be gone tomorrow. People who should be unemployed tomorrow: Jordan Norwood, Rick Dennison, Demaryius Thomas. Not sure Jordan Norwood should have a spot on this roster going forward.